Lately, it seems everyone and their cat is ‘into fashion’; whether it is posting selfies of their latest purchases from ‘the abroad’ (London, New York, Paris, Milan and er Dubai!) or moving around their office corridors like it is their very own catwalk, people feel they can have a voice, join in and add important points to the discussion. And let’s not get it twisted; this is good news. No-one should have a monopoly on looking, or being interested in looking amazing, and we should all feel that we can participate. But then as with all things there are the pioneers. The individuals who set the pace, turned things around, made things happen and raised the bar. 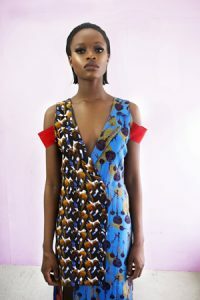 And certainly no roll-call of successful fashion designers who hail from Africa can be complete without mentioning Lisa Folawiyo. What sets Lisa apart from many of her contemporaries is she lives and breathes fashion too, expressing it in her personal clothing choices by patronizing and wearing the very best from designers in Europe and America. A quick scroll through her Instagram page attests to a woman whose eclectic and curatorial eye has seen her rock looks that are to-die-for, okay maybe we are speaking too rashly, to-pray-and-fast-earnestly-for. Suffice to say the question is not if but rather when MOMA will finally do an exhibition of her insane wardrobe! 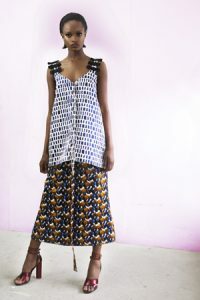 We were delighted to chat with Lisa last week ahead of her presentation in New York Fashion Week; and because this is MO and we are inherently a tad nosey find out more about the stylish woman behind one of Africa’s most iconic brands. MO: Why have you chosen to show at New York Fashion Week? LF: I’ve always felt a strong fashion connection to New York. It moves to the Lisa Folawiyo rhythm I like to think. We had shown there a few seasons ago and the collection was very well received. After a short break, it only made sense that NY was where we would once again show. MO: Tell us a little bit about the inspiration or SS17 Lisa Folawiyo Studio? LF: The SS17 collection coined ‘She wears his heart on her sleeve’ was inspired by modern romance. Two intertwined hearts, his and hers. A muddling of their feelings and emotions. The passion, their confusion, the magic, the lust, lost in one another, and the love! The collection sees a successful translation of the classic men’s tuxedo into strong feminine modern silhouettes. The use of his details such as the cummerbund, bow tie and pocket square become her details as they are transformed into colourful ribbon strip details placed across her décolletage, her hips and her shoulders. The bow ties as miniature bows forming pretty little dress details, the pocket squares as structured folds. And with the hand stitched falling pailettes, she dances as she moves. The clashing of the flaming hearts and roses and keys prints and the mixing of textures further describes them. Him and her. And as each piece unfolds, the story is told leaving you with your fill of a spirited collection with a fashion forward edge! MO: You recently celebrated 10 years in business; do you see yourself as a heritage brand now in the African fashion scene and how would you say the industry has evolved? LF: I definitely think 10 years in business deserves some sort of applause, but we still have so much to achieve and there is still so much I want to achieve. So yes, I could say we are one of Nigeria’s foremost heritage brands. The industry has evolved in leaps and bounds from when I was just starting 10 years ago. A lot of the platforms and opportunities available for new and emerging designers were not available in those early years. We had to really push for the success of our brands. 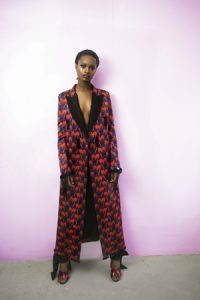 More recently, African Fashion has become part of global fashion in the sense that African designers have begun to have a say in global fashion. I really can’t wait to see how it evolves further. MO: Do you have a style signature and if so what are the do’s and don’ts for you? LF: Jeans, jeans and more jeans! My style is quite laid back. I like to be comfortable. I tend to go for very simple but well detailed pieces. I also have a thing for interesting accessories. You can never have enough shoes and bags, can you? Prints – clash them, match them. It’s ok to dabble in trend every now and then, however, stick to the timeless pieces. I prefer minimal jewelry, costume or fine. Clothes should fit right, well-tailored and always well laundered. If all else fails, wear the jeans and throw on the sunglasses. A beat face for every day. Fine jewelry sets for every day. MO: Who is the Lisa Folawiyo woman? Are there any women you have enjoyed dressing and would love to? LF: The LF woman is a fashion enthusiast even if she doesn’t know it. She is self-assured, exuberant, worldly, and never gets old. She travels in motion and in mind and embraces life fully as she does so. Seeing Lucy Liu in one of my pieces was very exciting. Faith Haslem was a joy too. Tamu McPherson looks divine in LF. I’d love to dress Fashion’s current darling, Lupita Nyong’o. We recently sent some pieces to her, so fingers crossed! 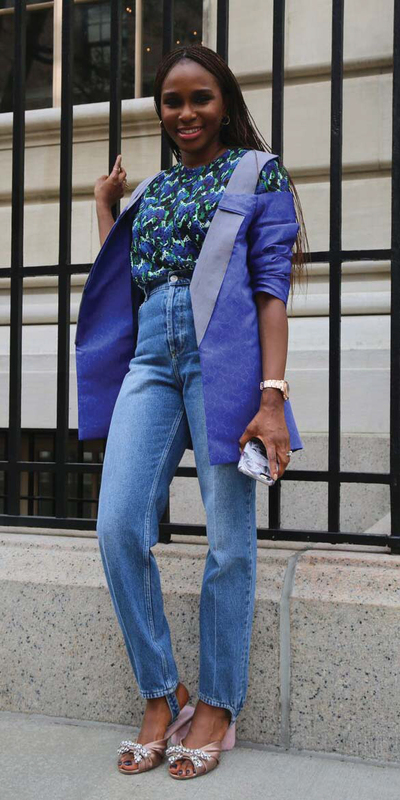 The future does indeed look super-nova bright for Lisa Folawiyo: the international press and style cognoscenti have certainly caught onto her and she is no longer every Nigerian lady’s best kept style secret (the team here at MO have enjoyed the shock and awe factor of rocking LF amid a sea of Aso-ebi Balmain Army and Burberry Prorsum twins!). But in spite of the plaudits, attention and uber-fans on the ‘gram, Lisa and her team continue doing what they do best, which is creating beautiful pieces for their ever growing legion of fans. Well this was certainly a nice read! I felt like I was in a room with you both, listening in, smiling and taking mental notes. Well done Mazzi! Your site looks really fresh. I’ll be back!